Anxiety is a disorder characterized by constant worry and nervousness and is even related to poor brain health. Today, it’s a common problem for many, and medication is often required as treatment. Do you know that what you eat could help boost your mental health and potentially reduce your anxiety? There are certain foods that help anxiety and makes you feel good because of their brain-boosting properties. Salmon is high in omega-3 fatty acids and vitamin D, which is beneficial in reducing anxiety. 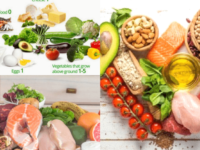 It also contains nutrients like eicosapentaenoic acid (EPA) and docosahexaenoic acid (DHA) that help regulate the neurotransmitters dopamine and serotonin that have relaxing properties for the human body. Therefore, a few servings of salmon a week may be enough to control mental disorders like anxiety. Chamomile is an herb that helps in anxiety reduction because of its antioxidant properties and anti-inflammatory effects. Having a cup of chamomile tea daily helps release calming hormones into your system that remarkably reduce the symptoms of depression and anxiety. Asparagus is full of folic acid (one of the prime B vitamins) that not only helps in the development of the nervous system and the neurotransmitters in the body but also helps you avoid mental health problems. If you are suffering from anxiety, use turmeric in your diet. Turmeric contains curcumin, a compound known for its anti-anxiety effects. It has powerful antioxidant and anti-inflammatory properties too that have been shown to prevent damage to the brain cells. Eating dark chocolate in moderation is good for easing out your anxiety levels. Dark chocolate contains flavonols that benefit your brain function, and allow you to adjust better to the stressful situations that may lead to anxiety and other mood disorders. Dark chocolate also has the ability to increase serotonin levels that help in reducing the stress. Yogurt is a great food to include in your diet because it has positive effects on your brain health and anxiety levels. The probiotics found in yogurt play an important role in improving several aspects of your well-being, including your mental health. Moreover, the probiotics also help in the production of neurotransmitters, including serotonin, dopamine, and GABA (gamma-aminobutyric acid), which all play a role in preventing anxious feelings. Take these six superfoods to reduce anxiety. 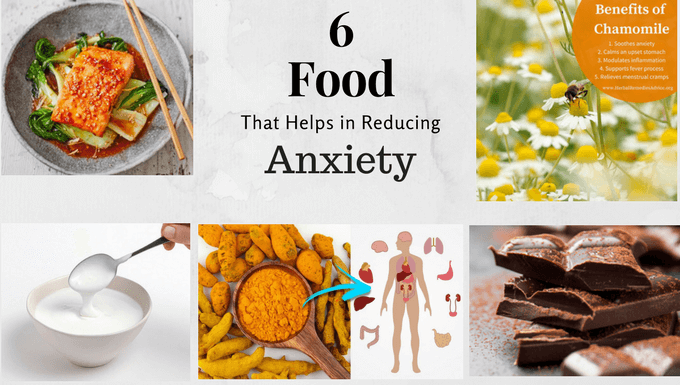 Apart from these foods for anxiety, there are many other ways that will help in improving your stress and anxiety levels. Lifestyle changes, exercises, and understanding your anxiety is important to overcome and deal with anxiety. You are welcome Malissa. Keep reading our blogs. Thanks for the valuable feedback. For more healthcare tips and topics, subscribe to our blogs. Thank you for appreciating our article. We are glad that you liked our post. For more information please subscribe to our blog. Thanks for your kind words and appreciation.